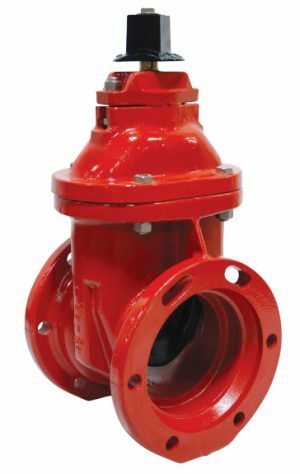 The Viking Model F-1 Dry Pipe Valve is a latching differential valve used to separate the water supply from the dry pipe sprinkler system. 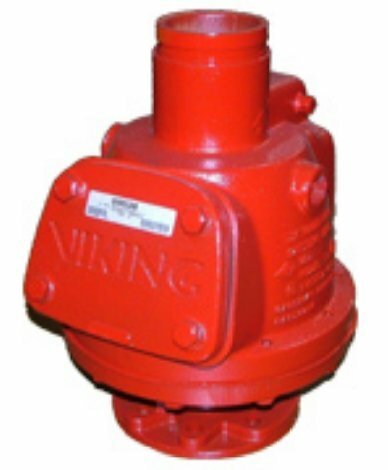 The Viking Model F-1 Dry Pipe Valve is a latching differential valve used to separate the water supply from the dry pipe sprinkler system. 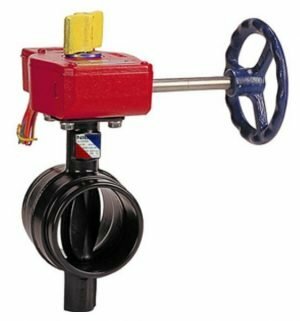 The valve combines a positive latching clapper and air plate assembly with a differential air-to-water seat design. The latching clapper and air plate assembly provides a positive mechanical seal for the air pressure in the dry pipe system. The differential design allows an air supply of moderate pressure to control a higher water supply pressure. When the air pressure in the dry pipe system is lowered sufficiently to destroy the pressure differential, the valve opens allowing water to enter the dry pipe system. 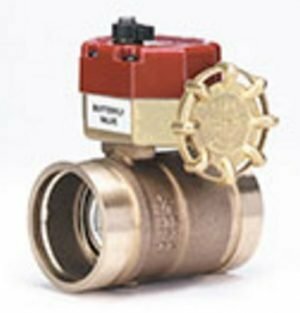 The valve is also designed to operate a water motor alarm and/or an electric pressure alarm switch. The Viking Model D-2 or E-1 Accelerator can be used to speed the operation of the valve on large capacity systems or where faster action is required. Rated to – 175 PSI (12.1 bar) Water Working Pressure. Factory tested hydrostatically – 350 PSI (24.1 bar) with the clapper open. 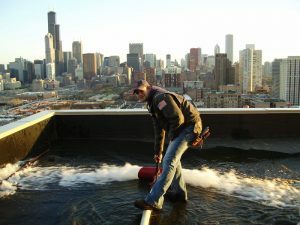 Air pressure to water pressure area differential: Approximately 6 to 1.